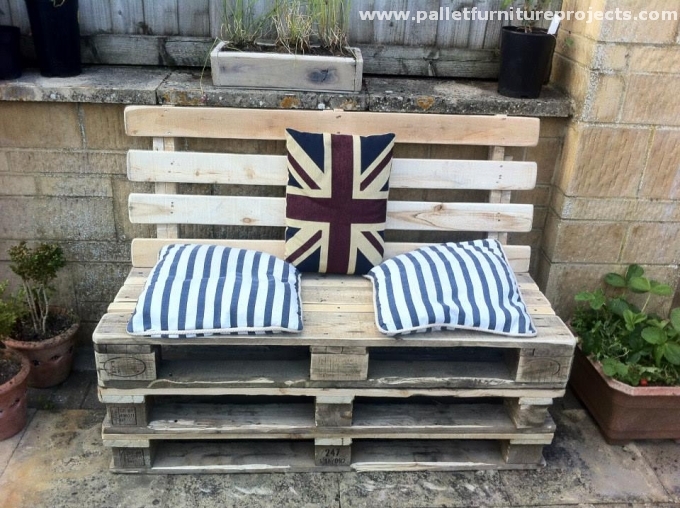 While working on various wooden pallet recycled creations I just thought that there might be some crafters who would love to go for some rough wood pallet creations. I mean they can like it in the roughest way. 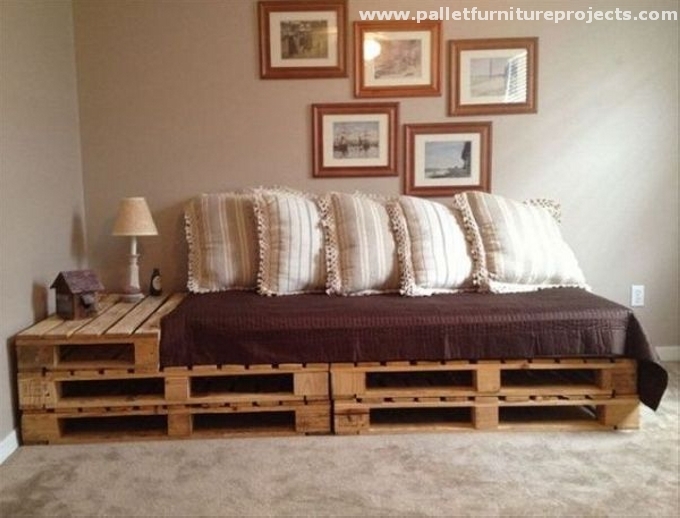 So we must plan a detailed article for some rough wooden pallet recycled sofa ideas. 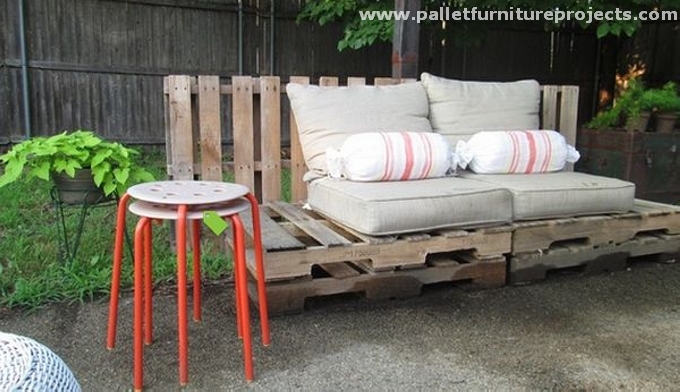 So after a lot of search I came up with this beautiful range of raw pallet sofa ideas. We are basically going to keep them simple and rustic, we are not going to finish them in any way like no paint, no sanding or something like that. This is the very first innovation. As we said that we are going to keep them just simple, and that would be the impact that would make them look raw. 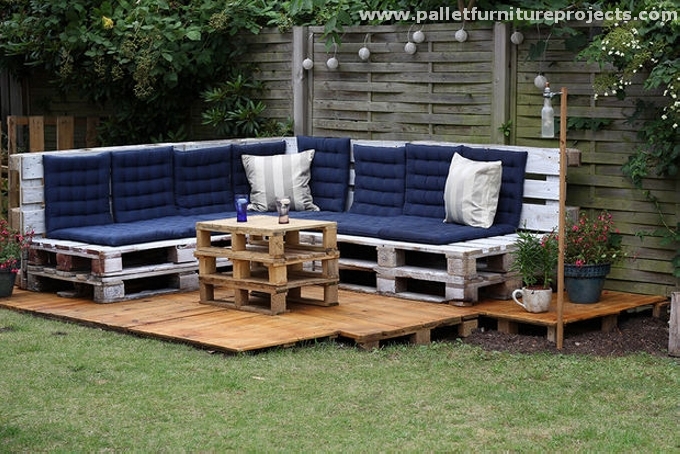 So we just piled up a couple of whole pallets in the garden and covered them with reclaimed mattresses and couches. And now this one is even handy and simpler. What we did actually, we installed the wooden slabs on the base of a whole pallet, and fixed one whole pallet on the back of each pallet. 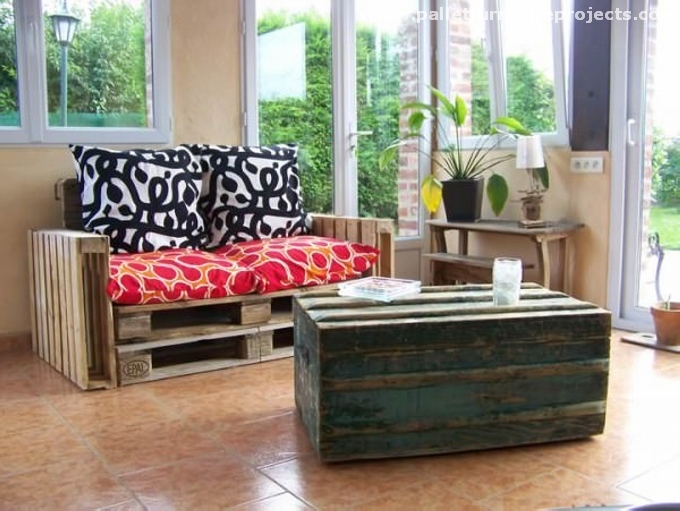 So this frame became something like a couch, and finally we covered it up with necessary cushions and mattresses. 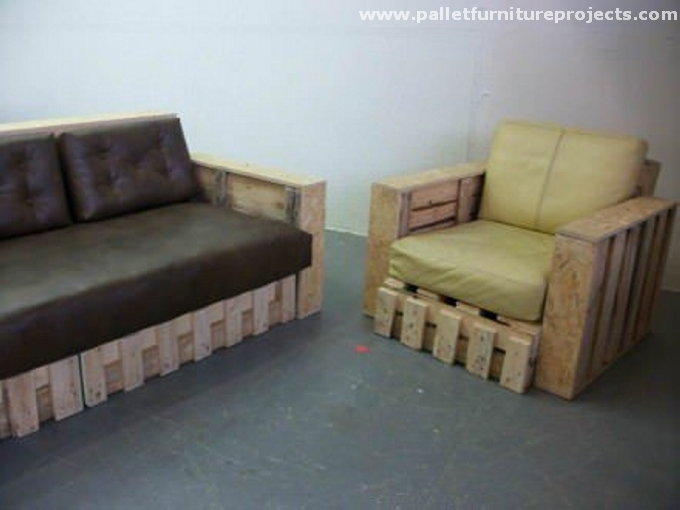 With every next raw pallet wood sofa project, we are just changing the pattern of placing the whole pallets. We are making no modifications, cutting or painting. 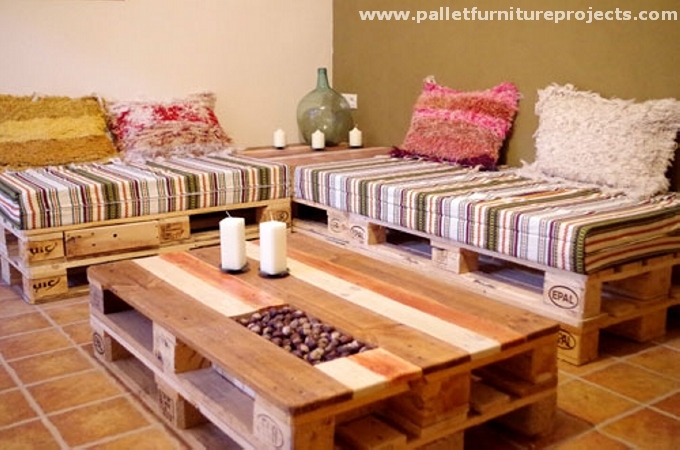 Keeping them just the way they actually are, still we are pretty successful in turning them into raw wood pallet sofas. 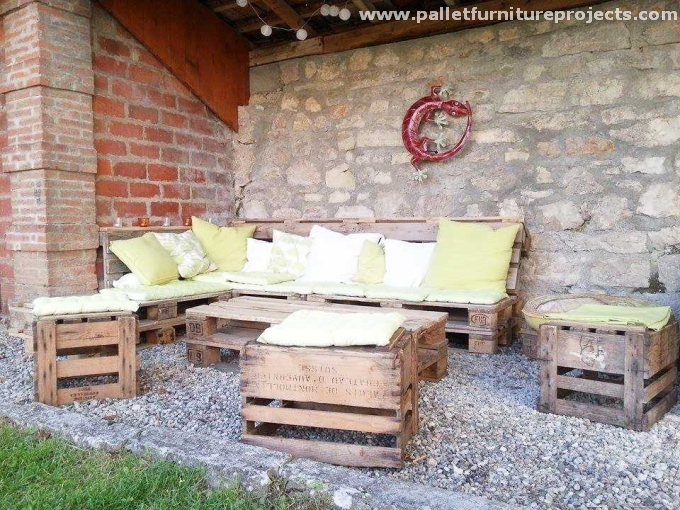 This time we had to place the raw sofa inside the room so we just arranged for some freshest pallets that were recently manufactured, just with little modifications like a built in drawer on the base and some built in space on the top of coffee table, we just placed the whole pallets again. 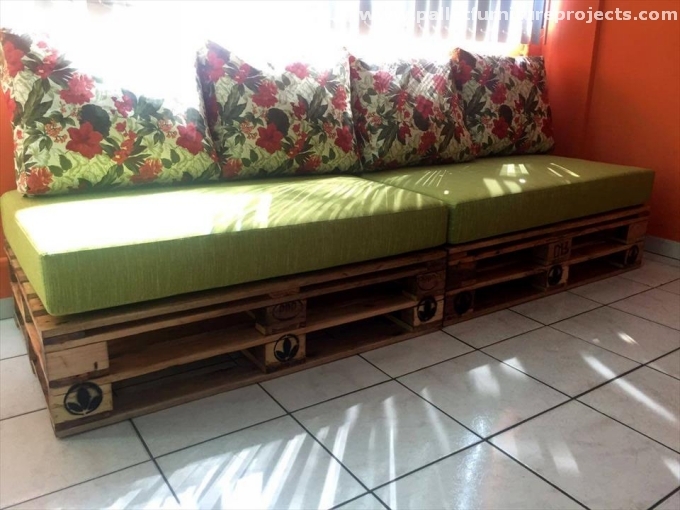 Well, to may these raw sofas can not be an appropriate choice for their indoors, so we are especially targeting the ones who like such insane pallet wood creations and they enjoy their roughness and rusticity. 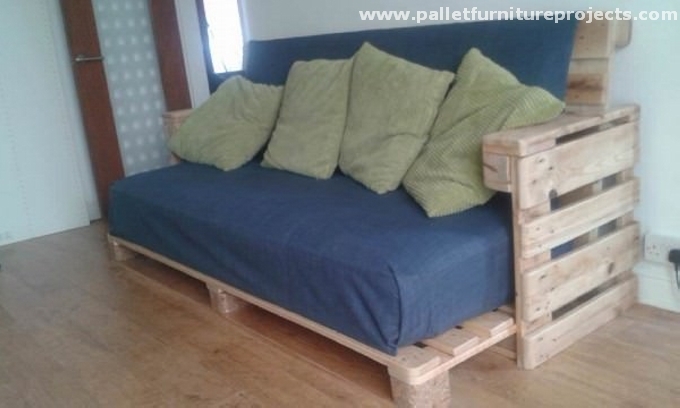 So be patient with the next pallet wood sofa. Wow, now this is something cute. 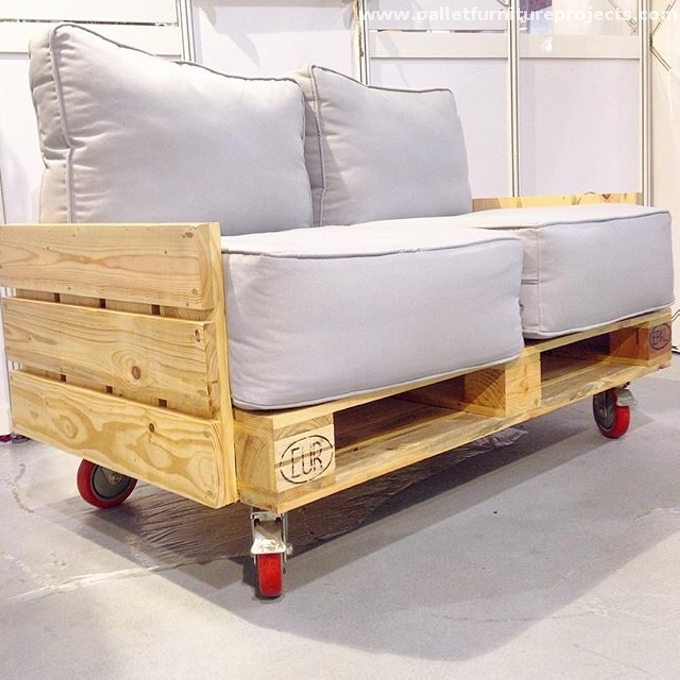 A whole pallet on the base, and the armrests are made with cut to size pallet wood planks. And lastly we fixed some colorful metallic wheels on the base just to give it a colorful touch, and it really worked out according to the plan. 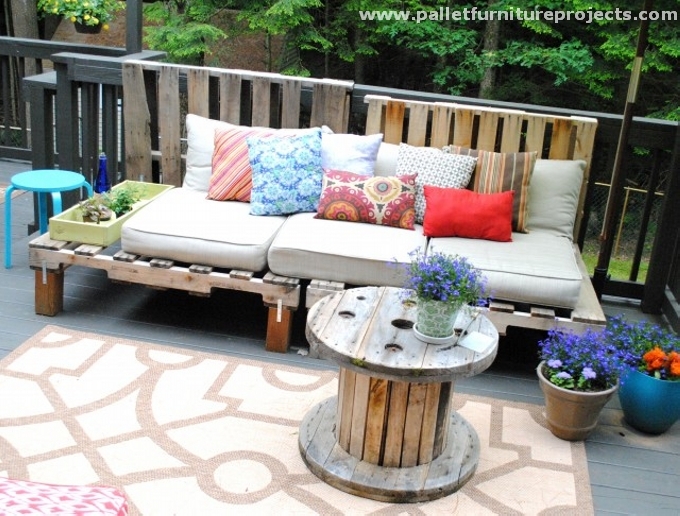 What you can really do to make a raw wood pallet sofa? You can keep it unstained, or some rough brush strokes of a badly prepared stain to maintain the rough and raw look, so we did here exactly. 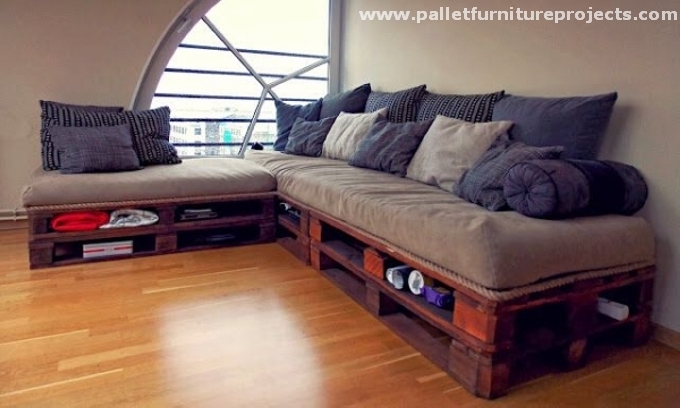 This is a great sitting plan executed with raw wooden pallet sofas. 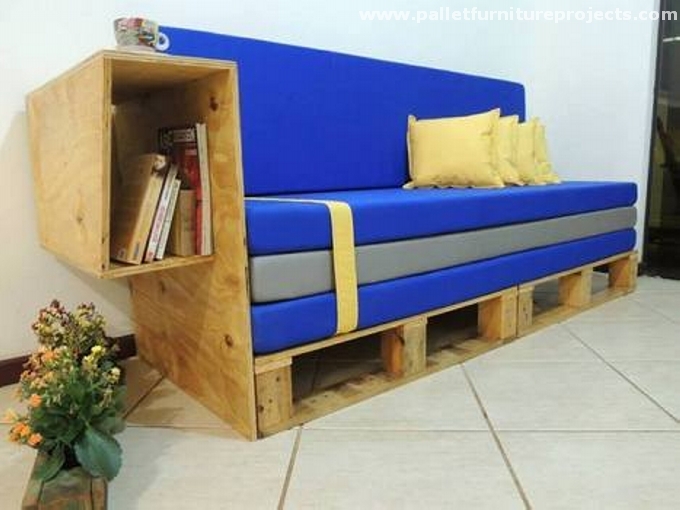 And this is something a bit contradictory, yet it can be categorized as a raw wood pallet sofa despite of elegant mattresses, but what we were concerned about was the frame of sofa, that is again kept pretty raw and rough, just a touch of creativity is given by adding a book storage cabin.